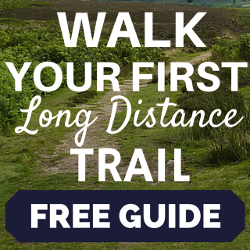 In this post I want to share with you the EXACT process of how I go about planning car free walking weekends away from London in Britain’s best hiking areas, with a specific case study. But first a quick flash back. 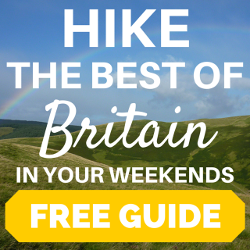 I loved hiking in the outdoors and I wanted to hike the best of British hiking. 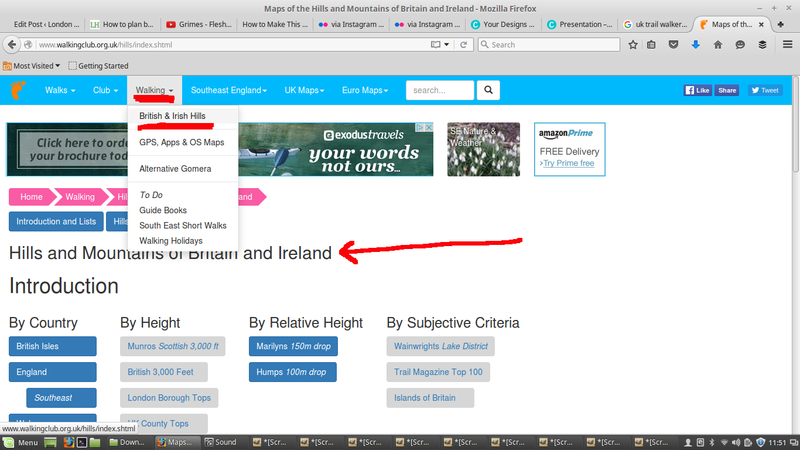 But I lived in London; 87 miles from the nearest ‘mountain’. I had no car, I had very few holidays left to spend on traveling around the country. I had a few vague ideas of where I’d like to go, but not enough, and I had very little free time to research it all. I didn’t want to hike in a group or a club (and by the way, if you do, here’s a list of London clubs that organise trips away). I just wanted to go off by myself or with one or two close friends and just enjoy the peace and quiet of the countryside, away from the city and all of the stress and the crowded underground. I just wanted to know what’s best to do and exactly how to do it. More than ten years and many successful walking weekends later, I created exactly what I would have wanted all those years ago. 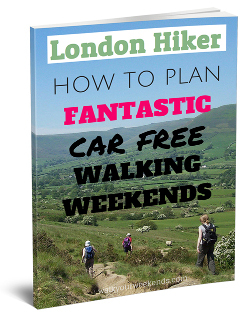 It’s called Walk Your Weekends and it’s a comprehensive information resource about my best car free weekend walking trips from London (plus a lot more). 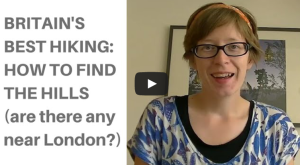 In this post I’m going to share with you step by step exactly the specific resources and tactics I use to plan the detailed itineraries that I’ve created for Walk Your Weekends and how you can do it too. 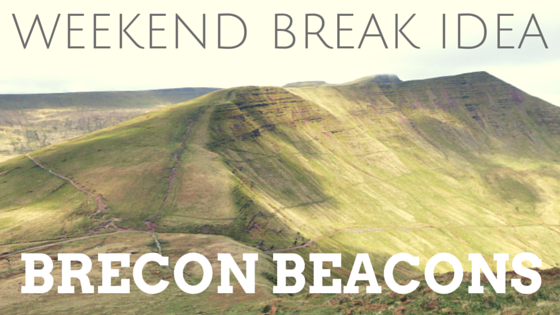 I’ll use a case study of an itinerary I created for the Brecon Beacons, for my Walk Your Weekends members. To make it easier to navigate this monster 7000+ word case study, I’ve included a detailed Table of Contents below. 2.2 The best way to find a great overview of the whole area (it’s not always where you’d expect). 3.1 – 3.8 Eight great sources I check to get ideas for the best walks. 7. Must ask questions and searches to ensure your weekend is safe, memorable, and fun – WHATEVER the weather. Personally, I don’t just want to go to one place over and over again, no matter how beautiful it is. For example, the Lake District is one area that I always keep returning to. But as beautiful as it is, I want to see other places as well; to experience walking in as many varied places as I possibly can. So how do you decide where to hike if you’ve never been there before? Use the National Parks as a start point. This is a great place to begin. The National Parks are obviously some of Britain’s best walking areas. No doubt about it! Which National Parks have you always wanted to visit (or if you don’t know, just think of countryside places you’ve always dreamed about visiting). What kind of scenery do you want to see? Do you want to walk on the coast? Do you really want to see massive dramatic mountains? Do you want to see beautiful, green rolling hills? Or do you want to see atmospheric brown, moorland and get a feeling of solitude? What kind of experiences do you want to have on this weekend? 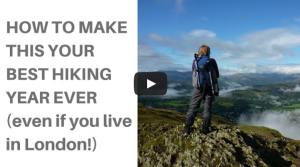 Do you want to climb and tick off certain mountains? Do you want to climb Snowdon? 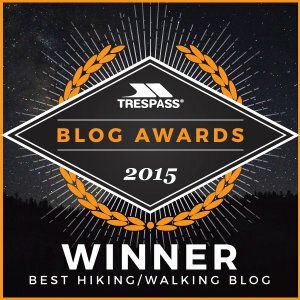 Do you want to climb a Munro or walk a trail? Do you want to go off the beaten track, somewhere where tourists don’t usually go? 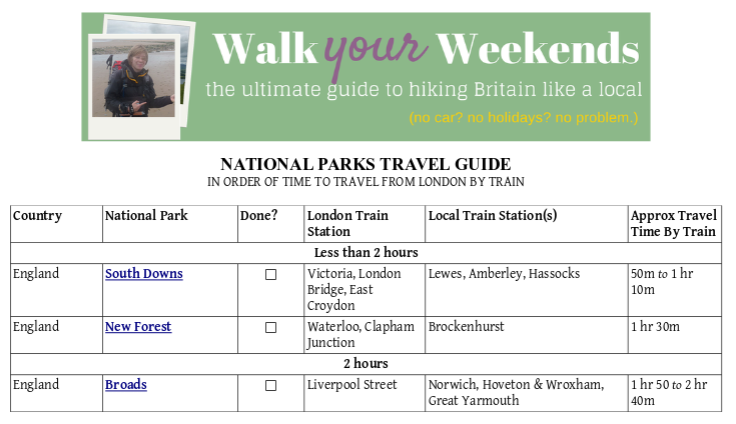 In my 5 day crash course to Britain’s Best Hiking I provide a free PDF showing which National Parks are accessible from London in a weekend. Consider: what has been on your ‘bucket list’ for ages? I’m not totally sure that I like the phrase “bucket list” but that’s what everyone seems to be saying, so I’ll say that. There are certain areas which I just think, “I’ve never been there. I’ve never managed to get there yet. 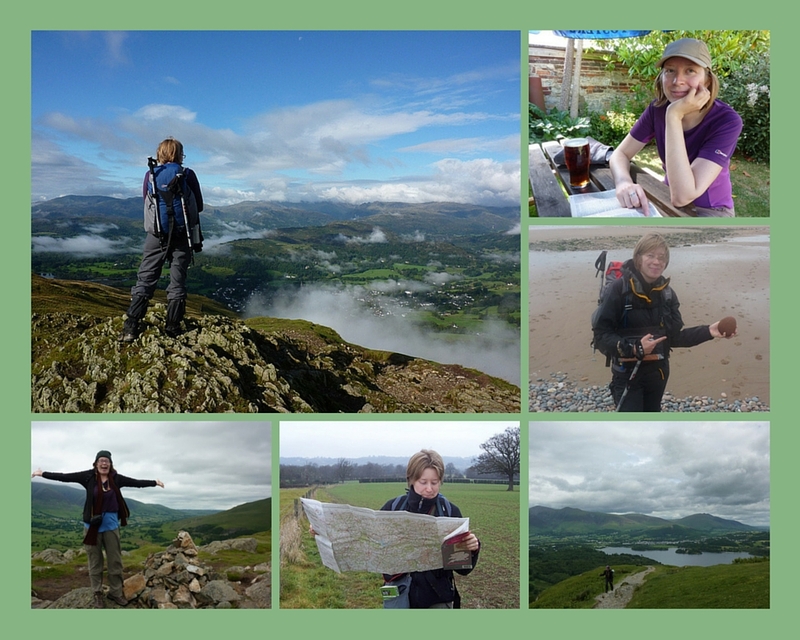 I really want to explore that!” For me, I’ve never been to the Cairngorms, the Howgills, Dartmoor…. These are on my bucket list, so to speak. Crucially, I don’t start by looking what’s close to London and assuming I’m limited to those areas. I start by thinking what do I REALLY want to do – and then work out a way of getting there from London. You can get a lot further than you think when you start to investigate it. Ask friends, family and contacts for tips. Word of mouth is one of my key sources: I find it invaluable. 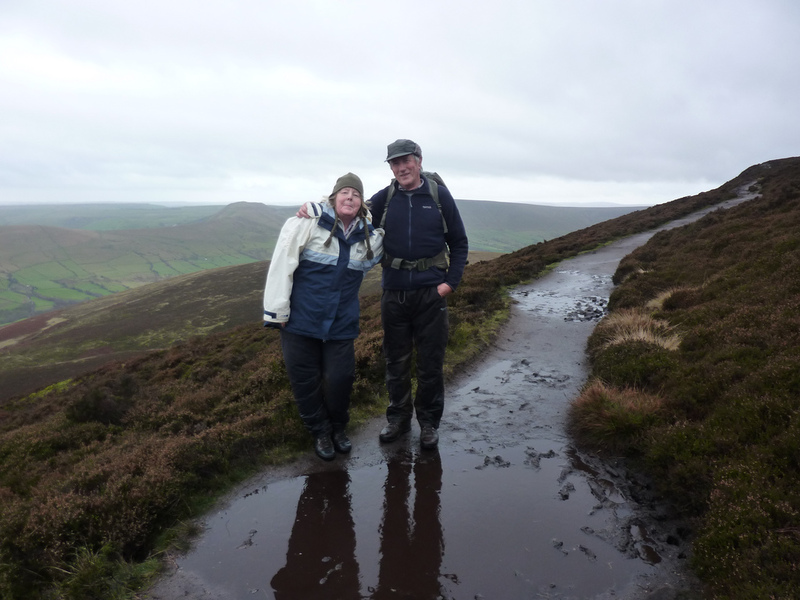 My main source of advice is my Mum and Dad because they have been walking for years and years. They’ve been all over the place. They have so much good advice. So mine your friends and family for all their tips and suggestions. From your initial investigation, now decide on a particular area to investigate further. The Brecon Beacons had been on my ‘wish list’ for a long time, but I’d never managed to get there. I didn’t know much about it, only that a) it was in South Wales and had the biggest mountains closest to London b) although there aren’t any rocky craggy fell tops like in the Lake District, its Mountain Rescue service was very busy c) I also knew that the military used it for training. I’d seen a few pictures of the central Beacons fells; they looked grassy and wedge shaped. 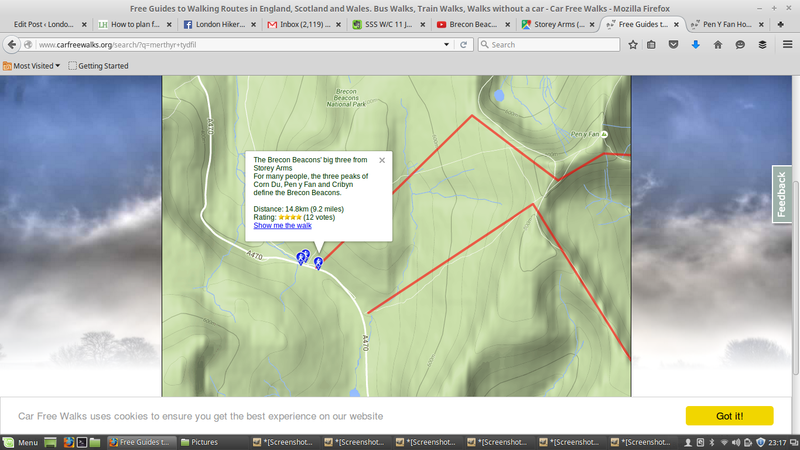 I really wanted to climb the central beacon fells and walk the best of the Park. But I didn’t know if it would be a place I’d want to return to often, or just ‘tick off’ my list. 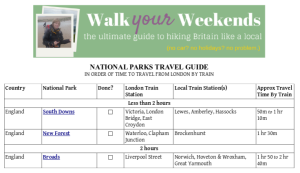 Due to its accessibility from London by train, I knew I wanted to create an itinerary for Walk Your Weekends so I decided to research it and create one. In this case, asking friends and family didn’t help me much because my family and friends had little experience of the Brecon Beacons. It was down to me to be the pioneer in this case! So, onwards with the research. Then I start to look at the practicalities. Can I get there? Can I get there in an evening. Can I get there in a weekend and back again? Here’s exactly how I do this. Investigate the official Park / Region website. I start off by looking at the official website for the area. 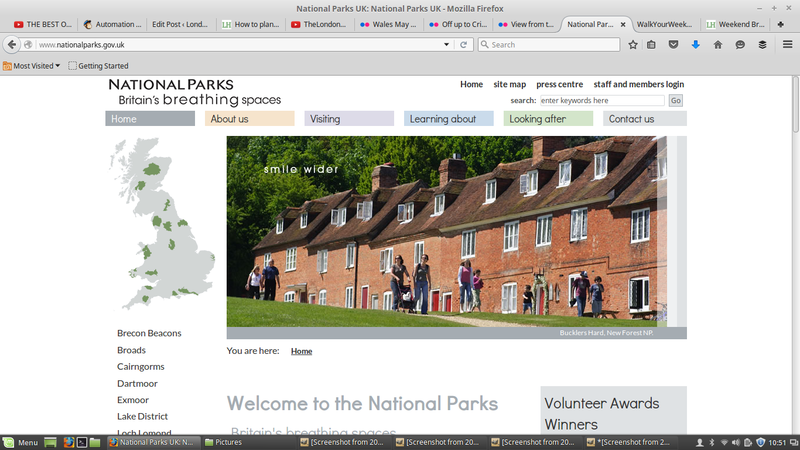 It’s usually a National Park or there’s usually some kind of website that will tell me how to get there. 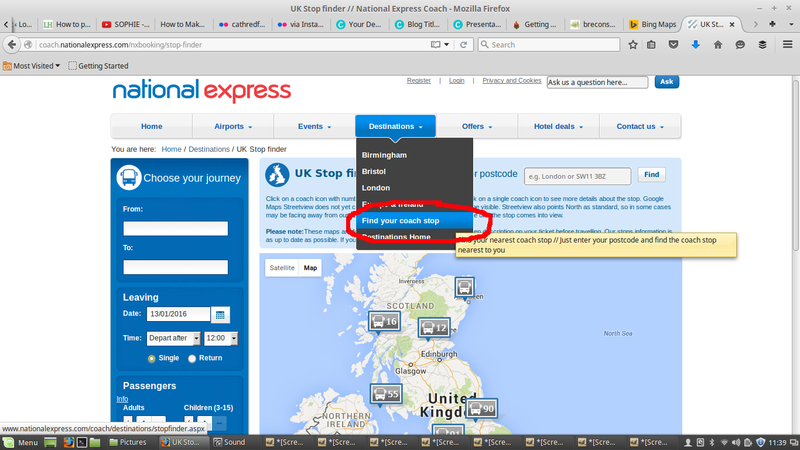 Although it’s a start, often the ‘how to get here’ page provides cursory information. I end up with a list of stations I’ve never heard of before, which can feel meaningless. Now find an overview map of the region. These will show nearby train stations in context so you can see which are closest to the areas you’re most interested in (hills, coast, etc). The problem I’ve found with a lot of official websites is that it’s sometimes really hard just to find a big, useful overview map of the area! They’ll tell you about various places and locations with pretty pictures, but they often don’t provide any context of WHERE those places are. 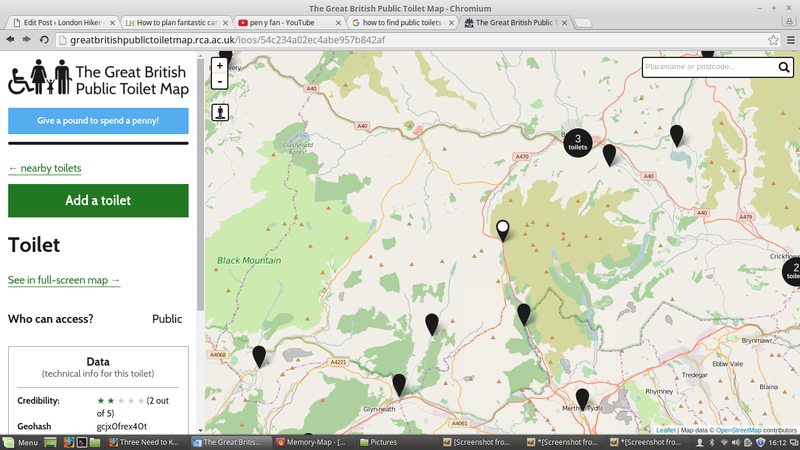 I’ve found that sometimes, actually, the most useful overview maps are not on the ‘official’ websites. If you have Memory Map (more on this later) you could use that, but I like to see a real overview, large scale map first. Take a look at where the key stations that you found out about from the official website are located in context to the area as a whole. For example, are they on the edges of the area, or right in the heart of it? 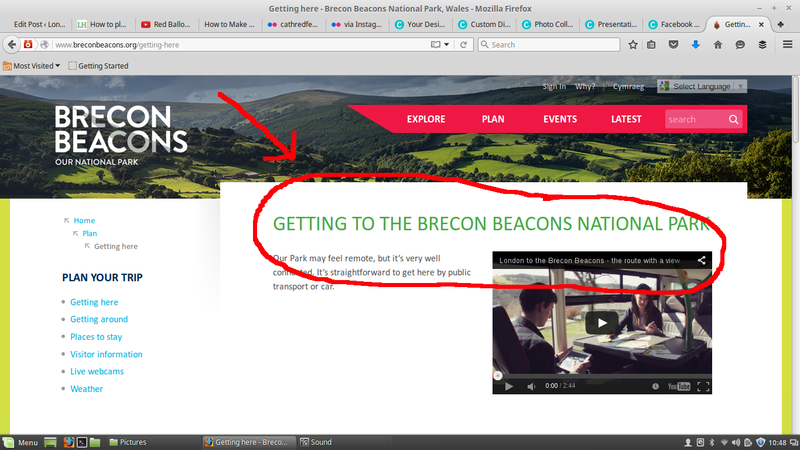 The official website told me the main train stations from London for the Brecon Beacons National Park were Abergavenny and Merthyr Tydfil, but it didn’t show me where those were in context. 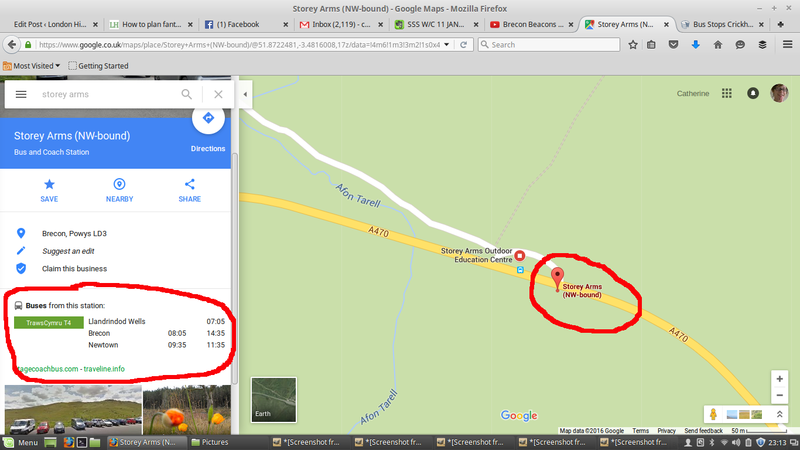 From Google searching for an overview map of the area, I could see that those were on the southern edge of the National Park but in different places: Abergavenny was near the Black Mountains, and Merthyr Tydfil was closer to the central Beacons. 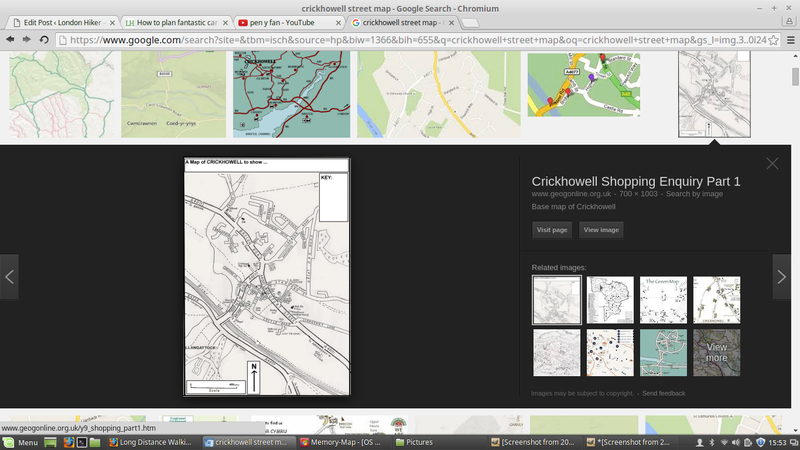 Next, browse the area on an OS (Ordnance Survey) map. I browse the area on a Ordnance Survey map, just to look around and get a feel for the kind of terrain and layout of the land. I have Memory Map (which I’ll talk about later) but I like bing.com/maps, which allows me to zoom in to 1:25,000 scale (unlike my version of Memory Map). I’ll start by searching for one of the train stations. 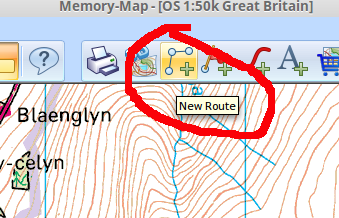 Then I’ll pick the drop down option in the menu to switch to an OS map view. You can the zoom in and out to change from a 1:50,000 to a 1:25,000 view. You can also make it full screen too! From browsing the map, I started at Merthyr Tydfil and I could see that it was quite a large town (as opposed to a village). 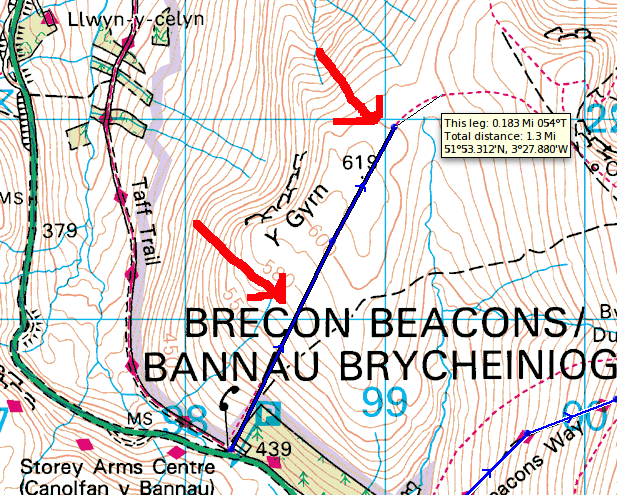 I then located the main central Beacons fells, which I knew from the overview map were north of Merthyr Tydfil. I could see that although Merthyr Tydfil was the closest station, there was quite some distance between there and the hills so I’d have to get there on a bus as it wasn’t possible to walk. I like to look at a National Rail map so I can look at the stations that the official websites recommend, but also the stations that are perhaps minor stations which are nearby the park, that could be useful stop off points for my walks. It’s also useful to find out which stations are at the end of the line and which ones are not; and whether the stations are on the same line or different ones as this can affect your travel plans. 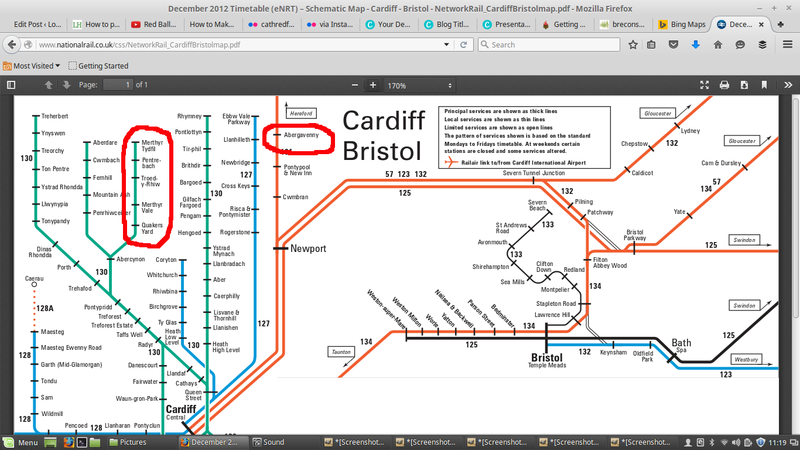 From looking at the rail network map I learned that Merthyr Tydfil was at the end of the line; Abergavenny wasn’t. Although both accessible from London, the two stations were on separate train lines so it wasn’t very easy to hop between the two. Would it make sense to explore the Park from just one base location? But which one was best? Maybe I might have to create itineraries for TWO base locations instead of one? I needed to know more about travel times – on with the research. Once I’ve worked out where the stations are, it’s time to work out, is the travel time practical? 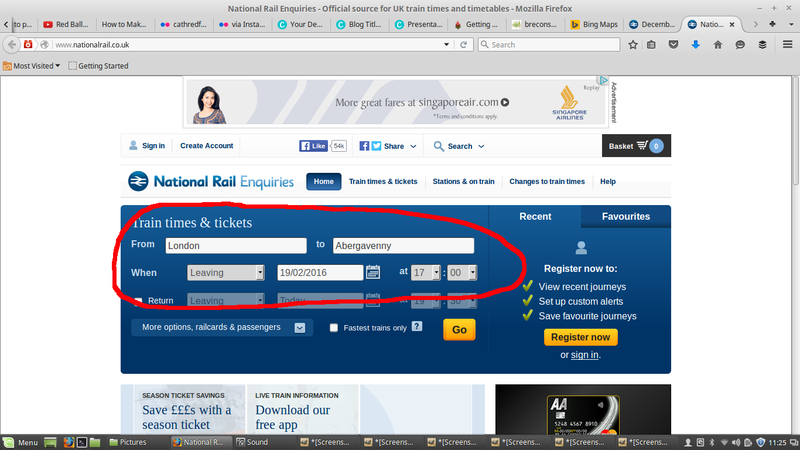 Go to NationalRail.co.uk to look at the train times. Enter your details. I usually just put ‘London’ in the search box – at this stage I might not know which London station the trains leave from. For the travel times, I usually put in a date a few weeks ahead, on a Friday, leaving around 5pm. I can also see how long the journey takes and whether there are any changes. Then do another search for returning on a Sunday evening. The Sunday one is the key one to check, because often on Sunday, travel times can be slightly different than they are on Saturday or during the week. 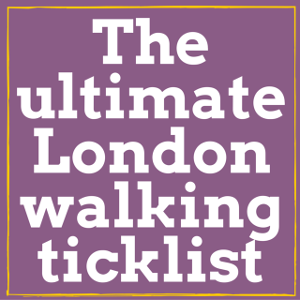 Now you can ask yourself, would this give you enough time to actually get back in the evening but also do a really great walk -something really rewarding, not just some little potter around a town before you have to run for your train? I usually find that it IS possible to travel back on a Sunday evening and still do a satisfying walk that day. Here’s a tip: plan your second day’s walking to start close to your accommodation, meaning you can start your walk sooner (and therefore end sooner for getting your train). 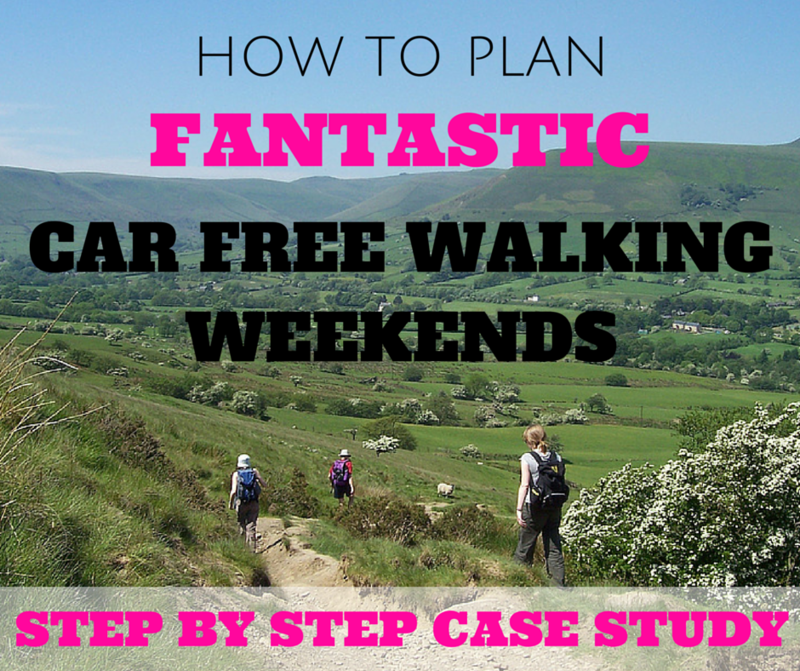 Save the big epic walks and bus journeys for your Saturday walk if you can. 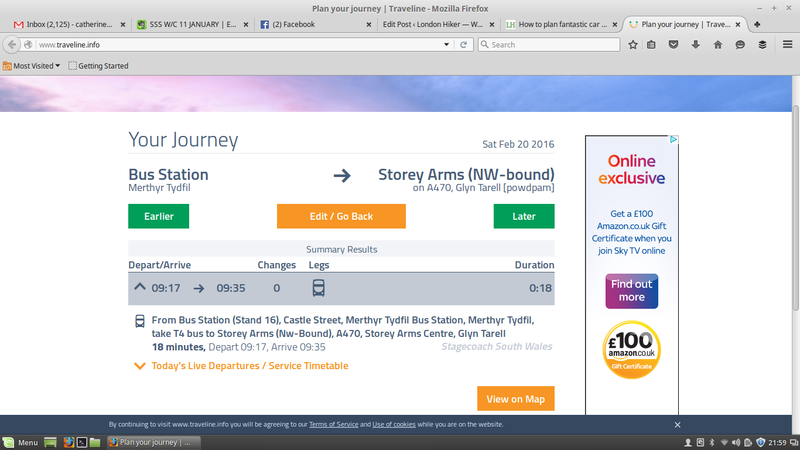 From searching train times I worked out that it was possible to get to both Abergavenny and Merthyr Tydfil in an evening, but the journey to Abergavenny was quicker. Although the journey to Merthyr Tydfil was a bit on the longer side, it was closer to the ‘famous’ hills (the central Beacons) that most people would probably want to tick off, so the long journey was probably worth it. 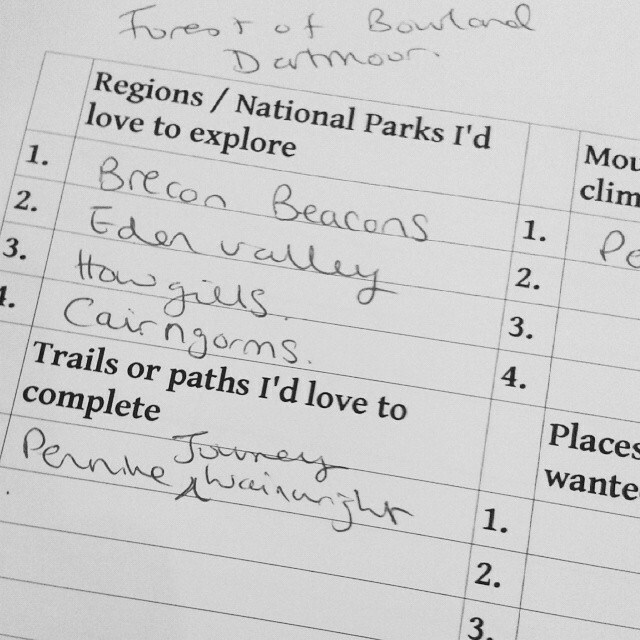 If someone was going to visit the Park only once, they’d probably want to walk the central Beacons fells. 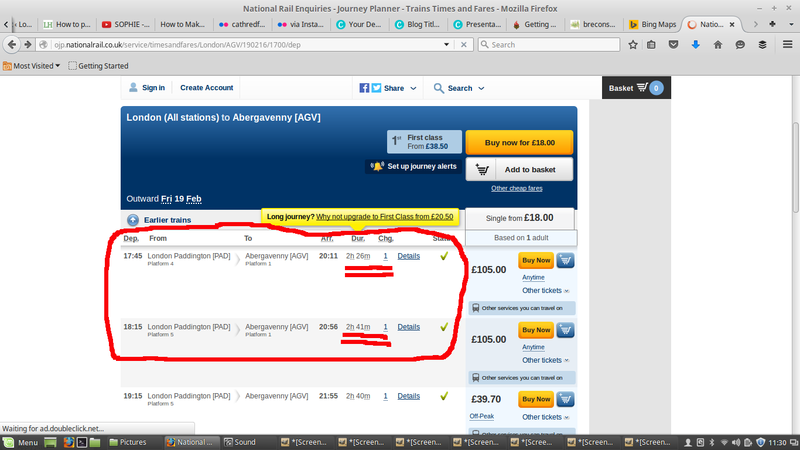 But at this stage I didn’t want to discount either base location, since Abergavenny was so convenient. It was clear now that I probably needed to create two itineraries. If you want to save money, and have more time to travel, another option would be to search the National Express for coaches. From London, these leave from London Victoria. You can get some good bargains if you are willing and able to travel by coach, but obviously it does take a lot longer to travel, and they only go to/from certain places. This might suit you if have more time than money – perhaps you might be a student, or don’t work 9-5, so you may be able to spend a whole afternoon traveling. National Express didn’t go anywhere near the Brecon Beacons. So, train it was! Once I’ve decided on an area and approximately whether I can get there in an evening, then I start to look at actually WHAT in that area am I going to walk? What EXACTLY would I like to climb? What trail am I going to follow? What, specifically, am I going to DO? At this stage, I am not plotting a specific route, but investigating ROUGHLY where I want to hike on a macro level. As a I research this, I adjust my initial investigations. For example, I may discover that one train station is more suited to the key/classic walking routes than others. I use a wide range of sources to help me come up with ideas. I will often cross reference one source with another, and if they are both recommending the same walking experience, I know it’s bound to be a classic, ‘must visit’ location. When browsing the 1:25,000 map you can see the major trails marked with a green diamond, so you’ll see them criss-crossing the area. However, not all trails are marked like this, so a book like this is very useful to provide me with information about trails which aren’t immediately obvious. 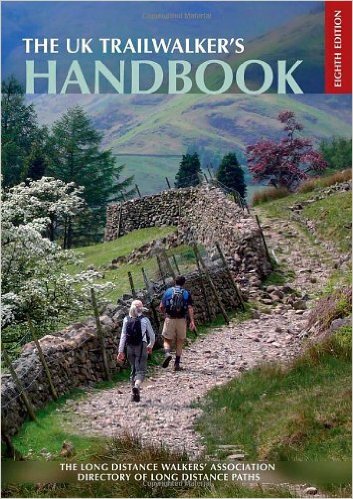 The UK Trail Walker’s Handbook has got every single trail listed in it, and it also comes with a map. 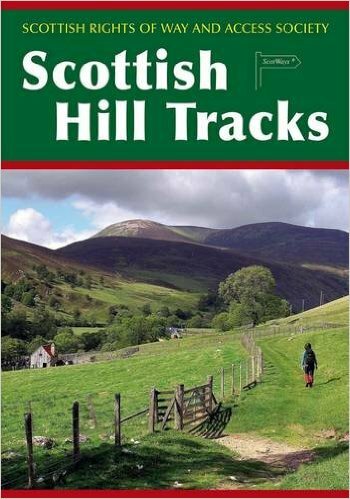 This book is basically like a big directory of all of the different trails and paths that you can walk. I love looking at this because I really like trail walking. It is actually a really brilliant way of hiking in an area to just do a section of the long distance trail. The paths are usually really good, the signage is really good, the trail takes you on a journey through the area, so you get to see a lot of it. It’s especially good for bad weather alternatives (low level walking usually). If the weather is really bad and you can’t climb that mountain that you wanted to climb, then maybe you could walk along a trail instead. Then, I actually look at the mountains and hills and one of the sources I check is the Tail 100, which is a list of Trail Magazine’s 100 best UK mountains. It’s totally subjective list – it’s basically what they think are the best – but I’m happy with that. You might as well start from somewhere! This is a great help with that question. 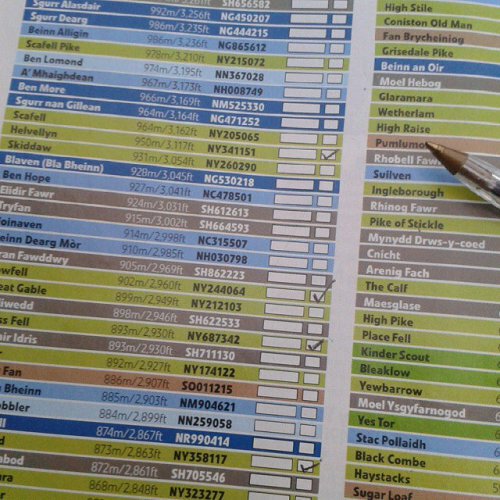 I talk about this great checklist some more in my 5 Day Crash Course to Britain’s Best Hiking! 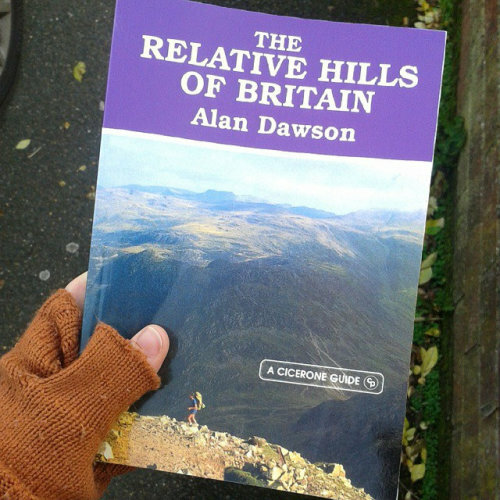 The other source I use to find out about worthy hills to walk is The Relative Hills of Britain by Alan Dawson. The relative hills are hills and mountains which are 200 meters higher than the surrounding ground – so they are usually hills with a view, which of course I like. You can obviously get loads of different lists of hills. You can get the Munros, you can get the Nutalls, which is mountains over 2,000 feet. But because this book is based on relative height rather than ‘pure’ height alone, it has a lot more ideas for England and Wales (obviously the Munros are only in Scotland). Basically I will have a look at that and see what relative hills there are in the areas where I want to walk. I was bought this as a present a few years ago. 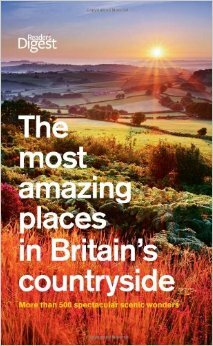 It’s full of lovely photos, and I use it to quickly get ideas for great locations to walk. It’s useful to confirm ideas from other sources; if the same locations are mentioned in several sources, then it’s bound to be worth visiting. 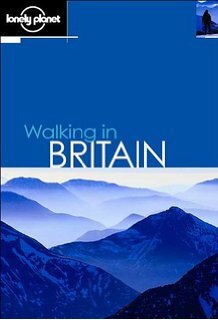 This is a really useful book I’ve referred to a lot: it covers a wide range of areas around Britain and has some excellent ideas for routes as well as practical information about visiting an area. 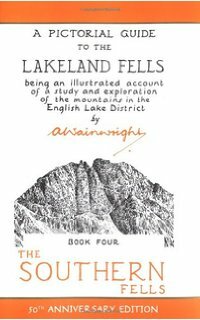 This might include Wainwright for the Lake District, plus any other specific books and guides I have accumulated over the years. After all this I actually have a look at my archive of clippings from British walking magazines. These are some of the magazines that you can get in Britain for walking. There are more, but these are just some of the ones that I’m familiar with. The main two that I’m familiar with is Country Walking and Trail. Trail tends to be more about climbing mountains. Despite the name, it’s not really about trail walking. They sometimes include some scrambling routes and it’s slightly more ‘adventurous’, I guess. It tends to be walks that are mainly based in the North of England, Wales, or Scotland. You’ll like Trail if your idea of a good time is bivvying overnight on a mountain. Country Walking is more gentle walking, I think it’s fair to say. Country walking probably would cover more routes in the South of England as well as everywhere else, and more low level walking suggestions. TGO (The Great Outdoors) is another one you can get. It says it’s the UK’s best hill walking and backpacking magazine. I’m not as familiar with this one, but I get the impression that it’s mostly, or strongly based around Scotland (I apologize if I’m wrong about that). So over many years I cut out all the routes and I filed them away by area. So if ever I’m going to a new area, I just look at that and then look at all the routes that they do. Quite often a lot of the same routes will come up over and over again, so you can see that certain routes are the main key ones to do in an area. 3.8 Talk to friends and family! Again, I use word of mouth. I talk to my friends, I talk to my family. So now I have a list of great ideas, I start to investigate them a bit more on the map. This interactive map by the Saturday Walkers Club is brilliant for finding which mountains and hills are closest to stations/roads. You can actually see where mountains and hills of different heights are on the map, zoom in and find out their names. Go to the website, browse the region and look at where the hills are, noting which are closest to train stations or roads where there might be bus services. Sometimes you will find that there are some which are near to the stations and others which are just too far away and it’s just not possible to get to them. You can just cross them off your list for that weekend. You can think, maybe if I’m having a longer holiday I can go and do that, but just for this weekend, I can only really concentrate on those few. To start from the Saturday Walkers Club website go to Walking > British and Irish Hills. If you click on one of the pins you can find out its name. The Trail 100 list had three summits in the Brecon Beacons, but I discounted one of them because it was too far away from the stations. The others were Pen Y Fan and the Sugarloaf. Since the former was accessible from Merthyr Tydfil and the latter from Abergavenny, this reinforced my decision to create two separate itineraries. 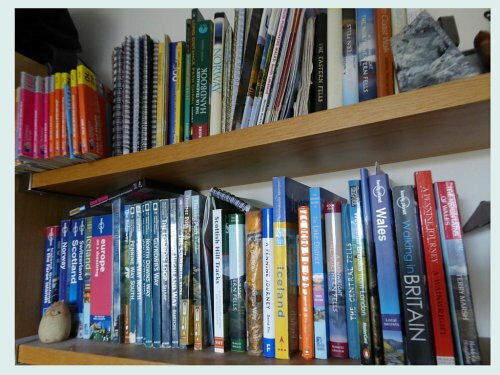 The Lonely Planet book also recommended walking on Pen Y Fan and the central Beacons; the Readers Digest included it in their list of amazing places; and my magazine archive included several routes for Pen Y Fn and the central Beacons. 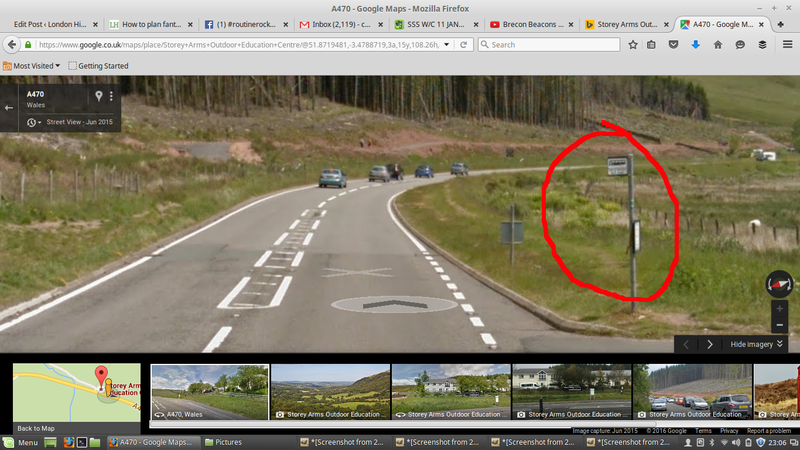 This was now a definite ‘must do’ for my Merthyr Tydfil itinerary. 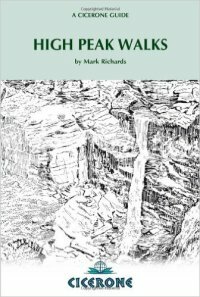 The Relative Hills book and the Saturday Walkers Club map showed me that there was a cluster of summits in a horseshoe on the Black Mountains, centering around Waun Fach, closer to Crickhowell and Abergavenny. 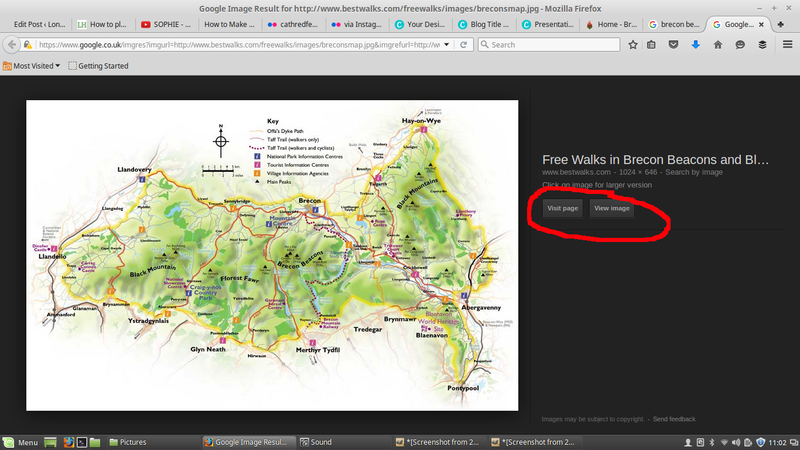 I noted that this could be a possible option for some good walking in the eastern side of the National Park. 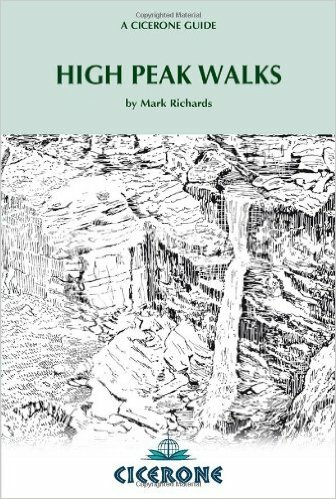 And from the Trail Walking book, I learned about several trails passing near or through Merthyr Tydfil and Abergavenny such as the Beacons Way, the Taff Trail and the Trevithick Trail. These could be useful bad weather or low level alternatives for my itineraries.I now had a ton of great ideas of hills and trails that could form the basis of my itineraries. The next step was to plan routes that were accessible by public transport. 4. How to QUICKLY find transport and practical information without ending up down a Google rabbit hole! So now you need to check out bus routes and find out which ones will be useful for getting you to the places you want to walk. This isn’t always easy! I’ve found that it can take ages to Google these things. You can get lost in a rabbit hole of links and information and bus companies and different websites, that aren’t quite right. 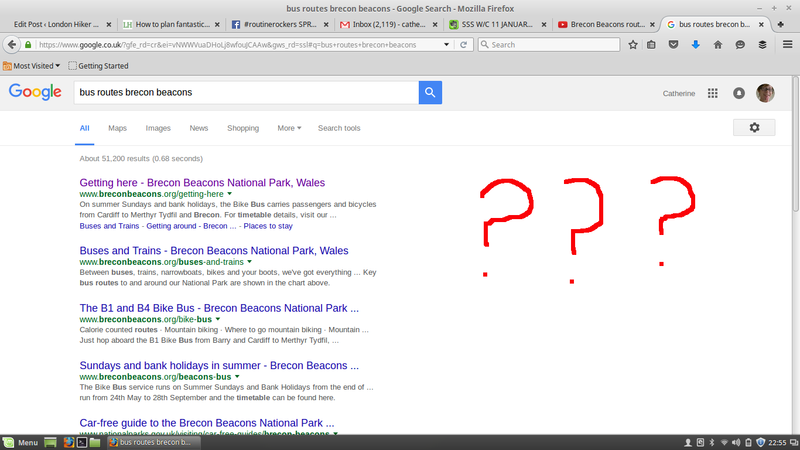 For example, here’s a google search I did for “Brecon Beacons + bus routes”. In a standard Google search I would have to open many of these links one after the other and then try to dig around the websites to try to find a simple route map. Believe me, this can take forever. What I recommend instead is that you search for it Google Images, not in the general Google Search. 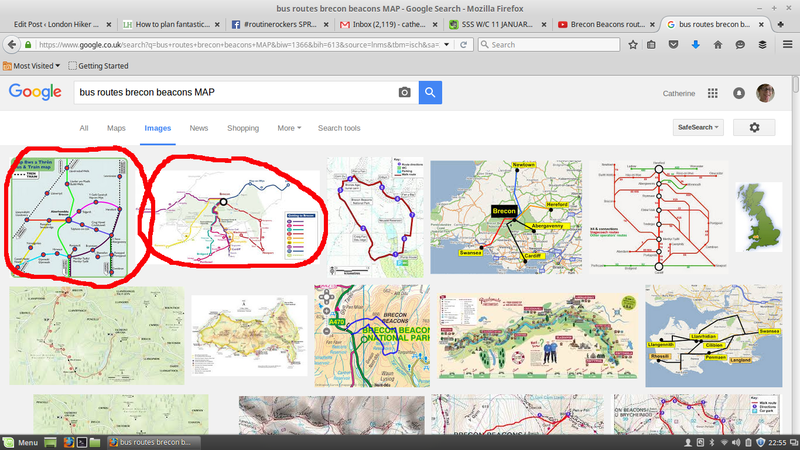 Here is a search in Google images for Brecon Beacons + bus routes + map. You can immediately a few likely images – that looks like it’s got the bus numbers on it, it’s got the bus routes marked in different colours, it looks like the kind of bus map that I’m familiar with. Now you can just immediately click through on each image and it will hopefully take you to a much more useful page. The only thing you need to be careful of is that the bus route map is up to date and doesn’t include discontinued routes – so do treat with a little bit of caution if it isn’t on the bus operator’s website. 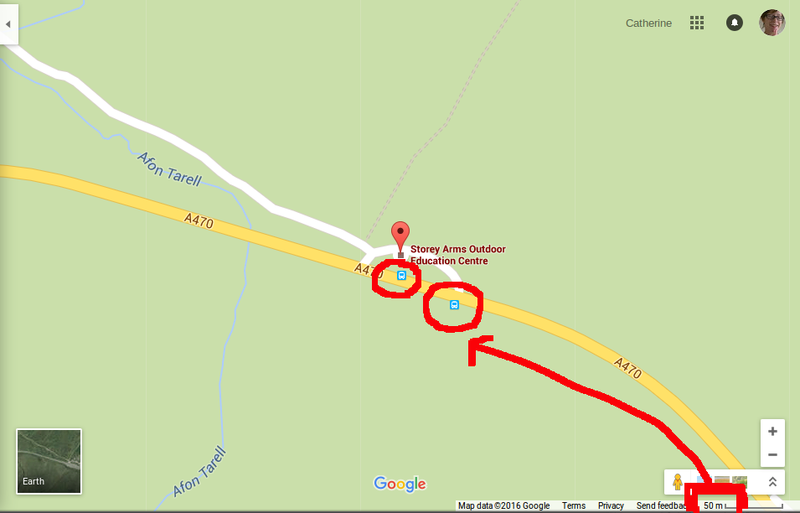 Unfortunately the OS maps do not show you where bus stops are. So here’s how I find them. 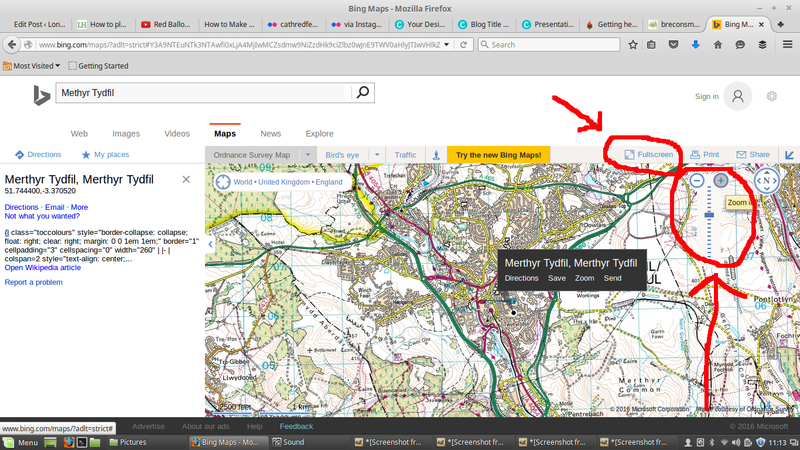 In Bing.com/maps – switch from OS view to road view. Then zoom in to 200 ft / 50 m. At this scale, a little blue bus stop sign will suddenly appear where there are stops. If you click on it, it tells you the bus route number. On a country road there’s not going to be much identifying features around so you can flick back to the OS map view to better understand exactly where the stop is located. 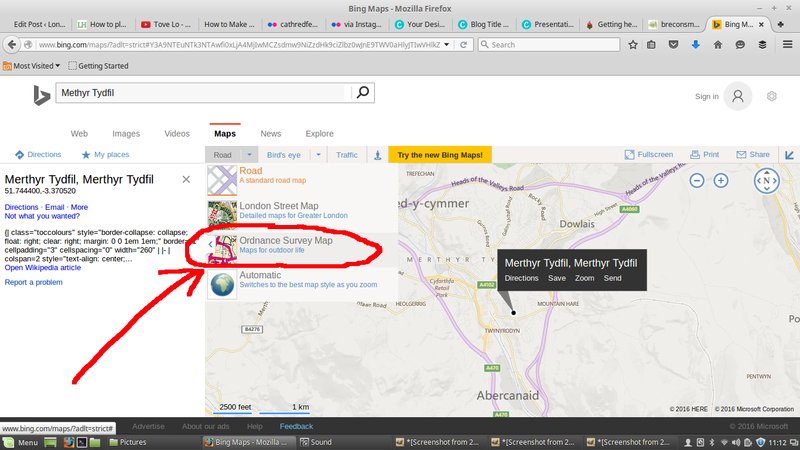 Here’s what that looks like when I switch back to OS maps on Bing. So now we can see that the stops are almost directly in front of the building, and close to the plantation. Google is similar. In Google maps, you need to zoom in to 50m. Obviously you can switch to Google Earth view to see it in context, if you like. If you click on the bus stop, it actually tells you the route and also bus times! There is a website called Findthestop where you can search for locations and it will show you the bus stops. I’ve found that it doesn’t always work very well for stops on country roads, but I find it handy for checking where the stops are in village or towns. When I’m writing my itineraries and looking up bus stops on quiet country roads, I want to check if there is actually a bus stop sign in place, and also I find it useful to look at a picture of the stop in location, so I can see if there are any other things to note nearby, such as buildings, parking places etc. For this I use Google street view. In Google maps, navigate to your bus stop location. Then grab the little yellow person from the bottom right hand corner of your screen, and drop them onto the road. I sometimes find it takes a couple of goes to get it to work. Looking around from the Brecon Beacons bus stop I was investigating, I looked to the right and saw that the bus stop was next to a car park: That’s a useful clear landmark I can tell people to look out for. 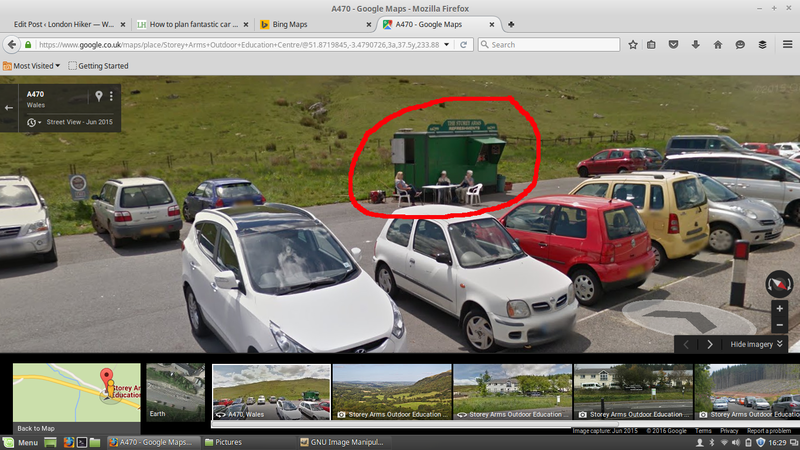 I also noticed a small refreshment shed; again, useful to know about! 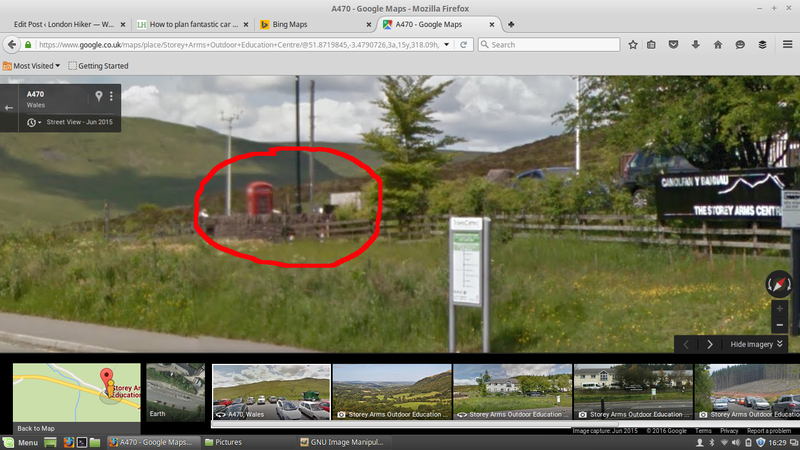 On the other side of the road, I can just about see a red telephone box. All useful information to know. Now you know where the bus stops are and what they are called, you can check on specific times to work out your itinerary in detail. For this, I use Traveline.info. It’s a really easy to use and brilliantly useful way of finding public transport information. When you enter the departure/destination locations in the search box, after you click ‘Search’ it will usually suggest some specific locations which you can choose from. 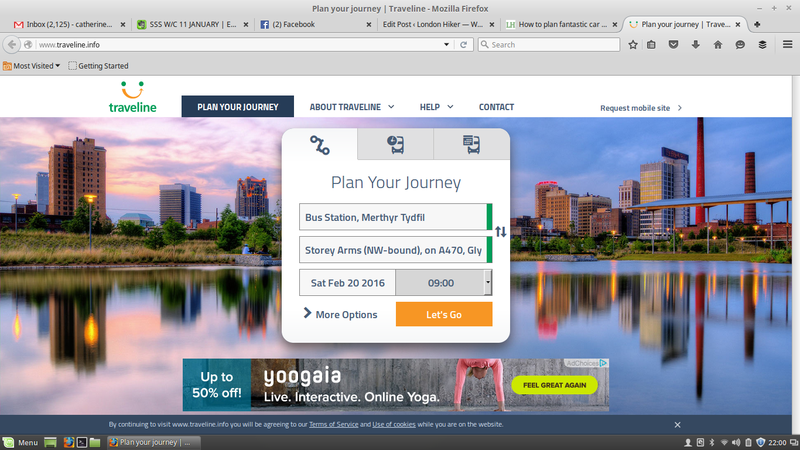 For example, if I type in Merthyr Tydfil it will suggest Merthyr Tydfil bus station, rail station, and other options. If you are not sure you can just select the general town/place name. If you click on a result, it will expand to show you the times, plus any walking time from your destination to the bus stop, as well as the bus route, the bus company and the duration of the journey. I was keen to find out if it was possible – or impossible – to create an itinerary that would combine the best walking near Merthyr Tydfil and Abergavenny. Searching for bus times I discovered that it was impractical to travel between Merthyr and Abergavenny by bus – it was just too long a journey, so I ruled that out. A bus route that I found reference to on some websites had unfortunately now been removed from service. 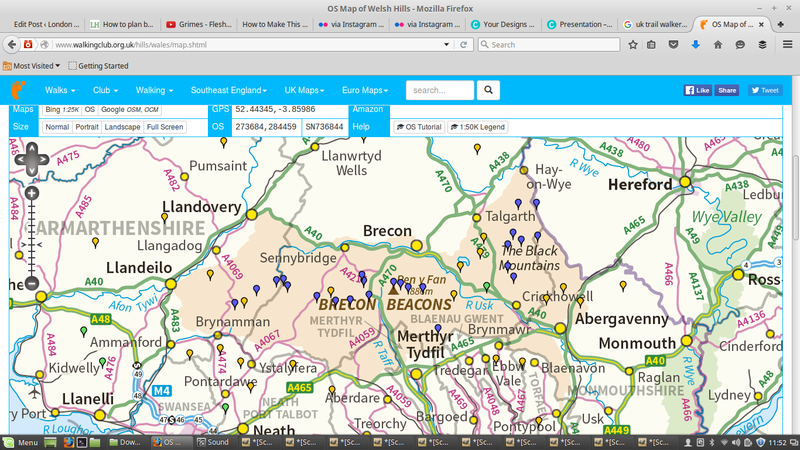 But I did find two useful bus routes: one linking Merthyr Tydfil with the central Beacon hills and another that linked Abergavenny, Crickhowell and Brecon. 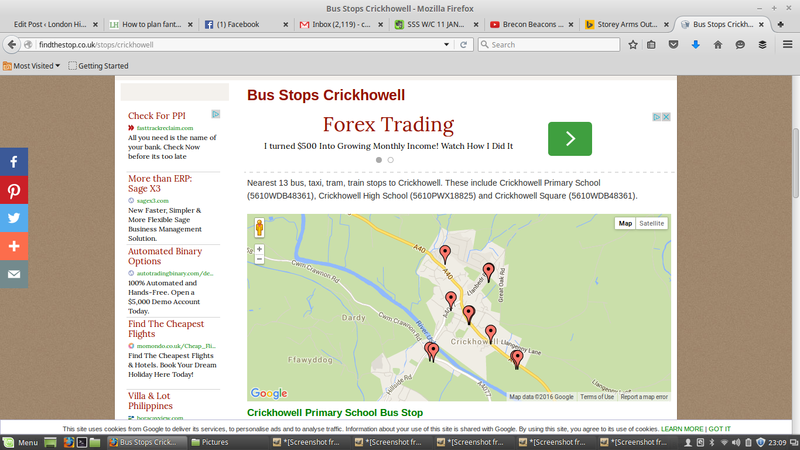 This presented Crickhowell as a real possibility for a base; from my reading it sounded like a lovely village with lots of great walking options around. Now it’s time to dive really deep and plan a route! For me, this is one of the most fun aspects of planning your weekend. This has two stages; getting ideas for routes, and planning out your own custom route. Here’s how I do it. First of all, here’s how I get some ideas for routes. A really great source is carfreewalks.org. They, as the name suggests, give routes of car free walks, submitted by members of the public. It’s a great one for idea sparking; you could just use their route, but sometimes the routes that they suggest don’t quite fit with what I want to do. The other thing to be aware of is sometimes bus routes stop operating or change, so you should check to ensure that the route is still accessible by bus. 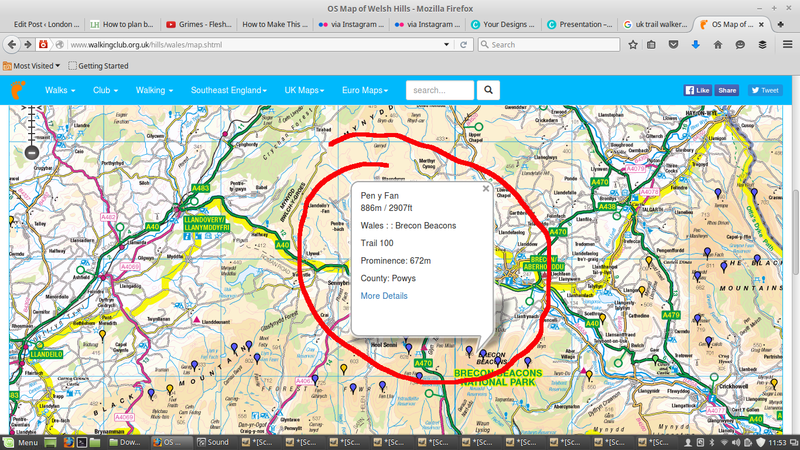 To use this site, simply search for your base location and the site will suggest routes in the area. If you click on the pin representing the start of the route, it will show a red path so you get a helpful overview of the route on a map and a summary description. 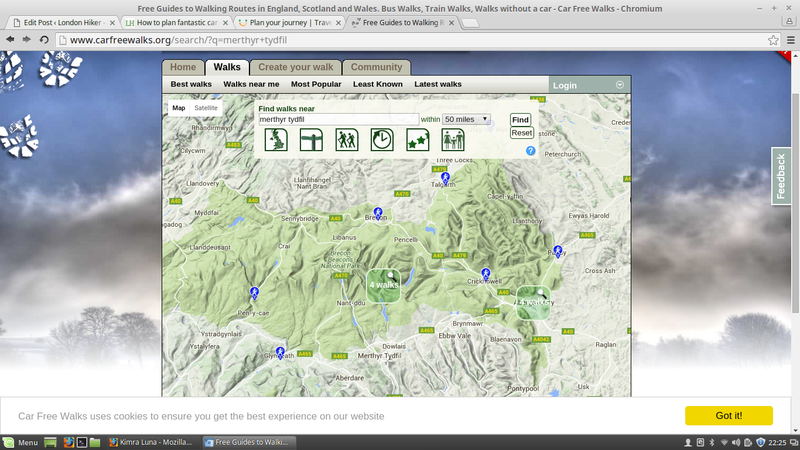 Then click on ‘show me the walk’ for all the detail, which includes an OS map. 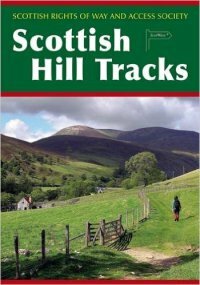 Here are some walking route websites I might refer to for ideas. However, I keep in mind that not all of the routes will be written with public transport in mind. I then start Googling Blog posts. 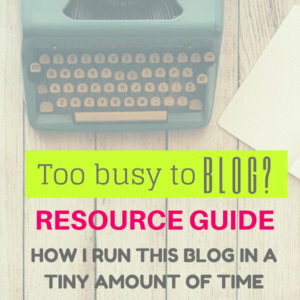 I will Google the key terms and the walks that I want to do or the hills that I want to climb and add the word “blog” to the search field. It will bring up loads of blog posts of people who have done the walk. This can be very time consuming, as not every search result will be helpful or relevant, but you do sometimes end up on a really useful gem. I’ll have a look and see what they say, and see what route they did, read their report, look at the photos and this will help me to get a great impression of the walk, things to look out for and insights you might not always get from a standard route instruction. AGAIN! 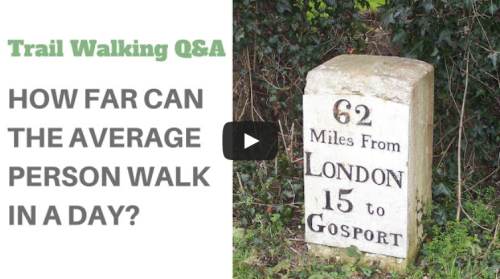 I ask friends and family if they’ve walked in the area which routes they recommend. Again – I’ll dig deeper into my archive of magazine route recommendations and see if any routes appeal to me. 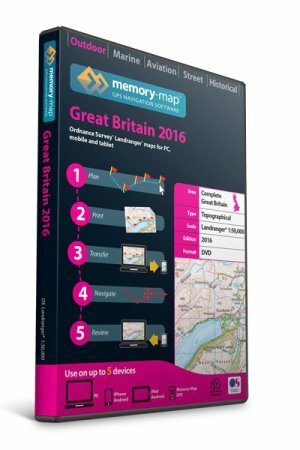 To do the planning of specific routes I use Ordnance Survey’s Memory Map software: I have the 1:50,000 GB Ordnance Survey Map for the whole of Britain (it costs about £100). You can also get the 1:25,000 Explorer edition which costs about £300. 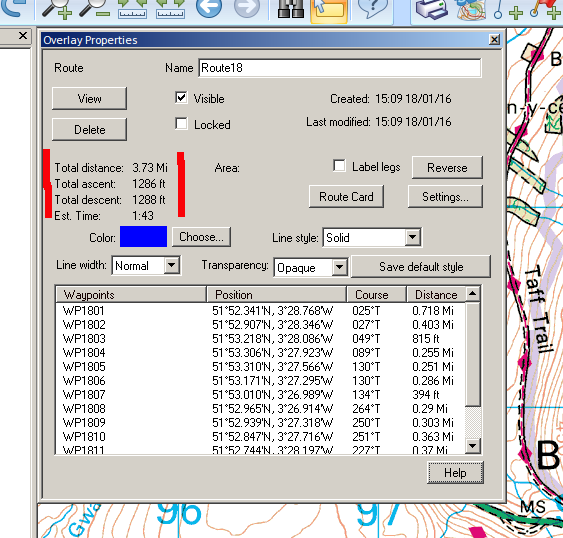 Using this software you can plot out routes, measure distances, look at the routes in 3D, and more. I’ve got to admit that I probably haven’t used it to its full capabilities and I don’t know every single thing it can do, but I do use it to plan out routes and check on distances. 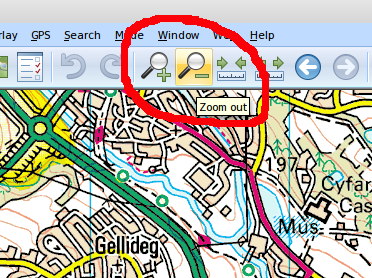 In Memory Map, click on the Binoculars icon to search for your location. Type it in and click search; the software will suggest some places, click to select the correct one. The click View. I can easily see the total distance of the route I’ve plotted, and adjust accordingly if I need to. It will also show me the total ascent and descent in the route. As I don’t have the 1:25,000 Memory Map, I will often click over to Bing.com/maps to check little details at that scale if I need to. When I’ve planned out the route, I then look for shorter alternatives that Walk Your Weekends members might want to try. I’ll also check distances of any optional detours like the possibility of ‘bagging’ a nearby summit that’s only 30 minutes away from the main route, and make a note so I can add this info into the itinerary. After all this planning I actually ended up working out itineraries for three Brecon Beacons weekends, and 11 possible routes, including bad weather/low level alternatives and shorter options for those who wanted them! 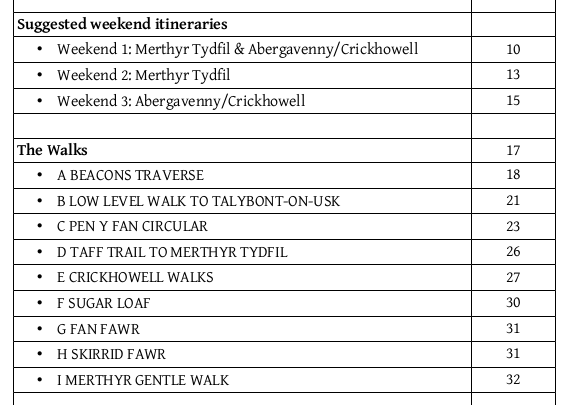 Despite the lack of bus connections, I was able to work out an itinerary that DID connect the best of Merthyr Tydfil & Abergavenny walks, including a traverse of the central Beacon fells and ending in a lovely little village with a bus stop to Crickhowell / Abergavenny. 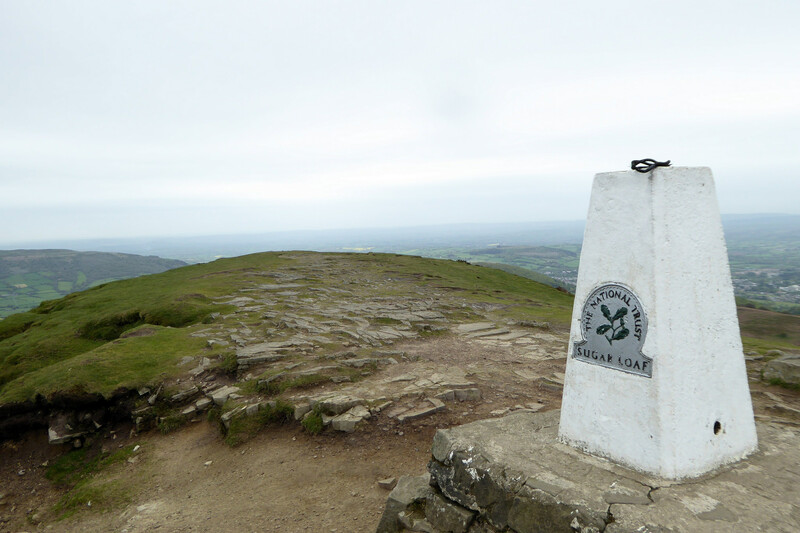 This way, Walk Your Weekends members could choose to walk the ‘best’ of the National Park in one weekend or choose to base themselves in either Merthyr or Abergavenny. Sometimes, it’s nice to not see the views before you go and be surprised by them. But if I’m planning on climbing a mountain that is quite serious and there are potential navigational difficulties – or I’m thinking it could be cloud or mist – I do like to have a look at what it’s like before I go so that I can visualize and then at least I have some idea of roughly what it looks like from the top, or on the way up. It’s just another thing to keep in mind when I’m walking, to think, “Am I on the right track or not?” Here is a really easy and quick way to do that. 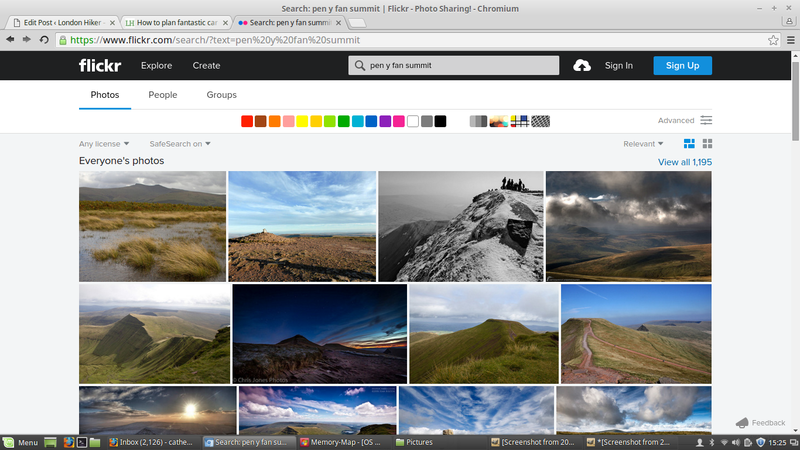 I go to Flickr and search for the name of the place I’m going to. 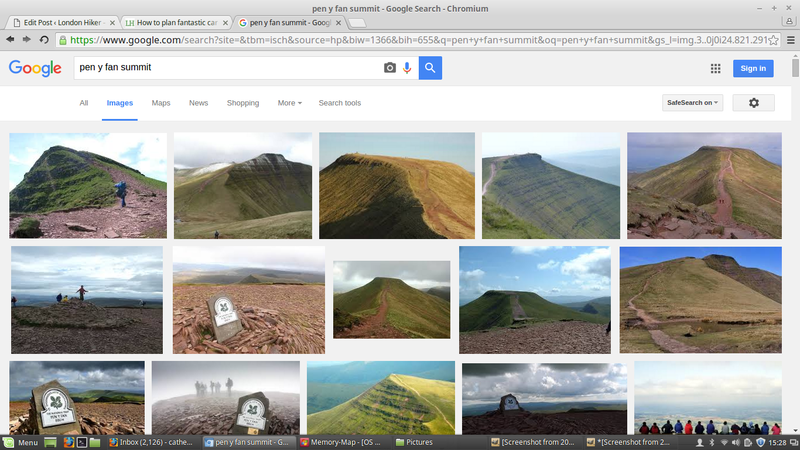 This is an example of when I searched for a couple of mountains in the Brecon Beacons, Pen Y Fan and Corn Du. You immediately see what it’s like from looking at this. You can get an idea of what the walking’s like. 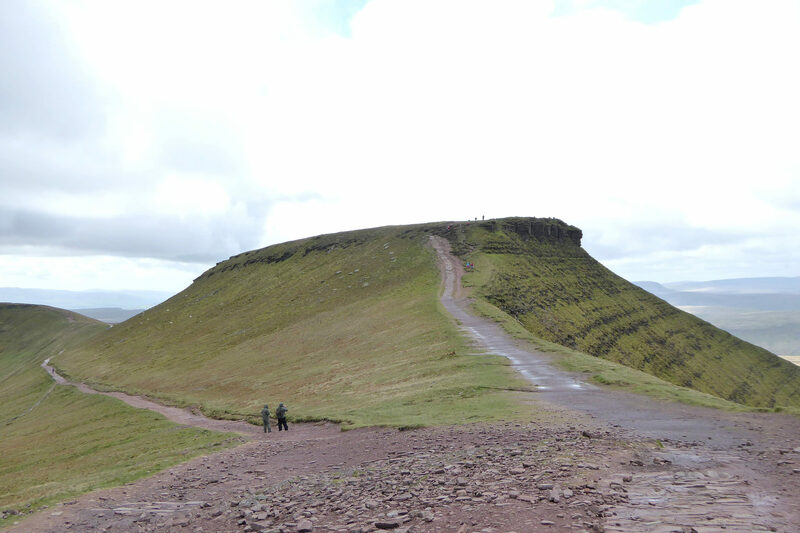 From this I know that it’s not scrambly, the paths are quite clear, the route between Pen Y Fan and Corn Do is really clear on the ground because it’s been worn away by so many people. The summit is quite flat. All useful info. 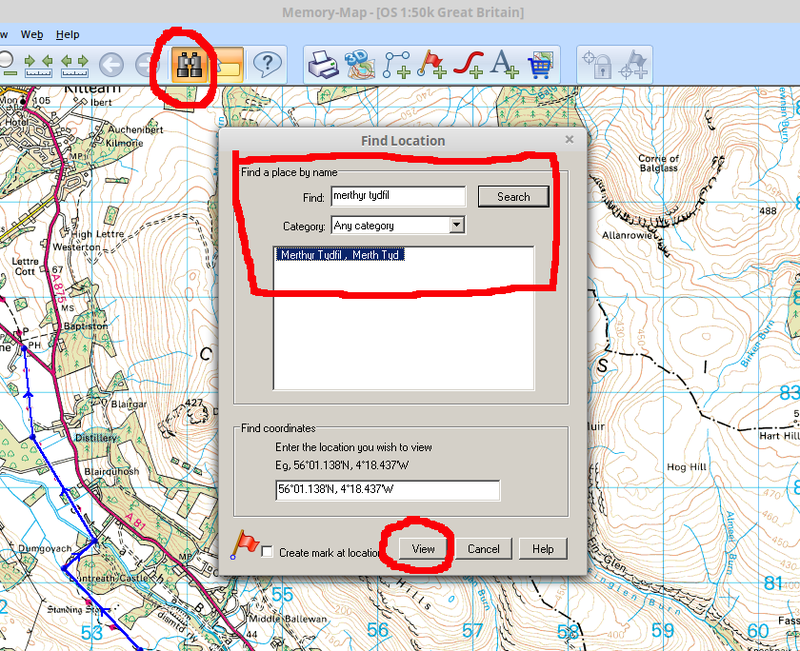 This is really helpful for some summits which can be tricky to locate especially in mist. 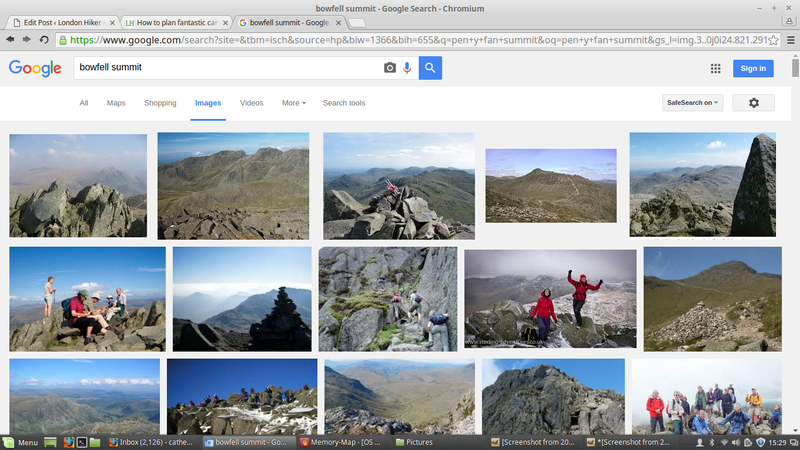 For example, the summit of Bowfell in the Lake District can be a bit little bit tricky to find. To have a look at some pictures of what it looks like on a clear day, it’s really helpful. You can just browse everyone’s pictures and just get a general idea. Again, Google Images is another great one for doing a similar search. It just gives you a really great idea of what to expect. You Tube is another great one because a lot of people put up videos of their walks. You can actually get a lot of tips from watching those videos. Some are better than others, obviously: a lot of them are just pictures like a slideshow with music over the to..
What I like to hear is people’s actual experiences, people talking about it and filming it. Then I’ll get a good idea of what the walk is like. 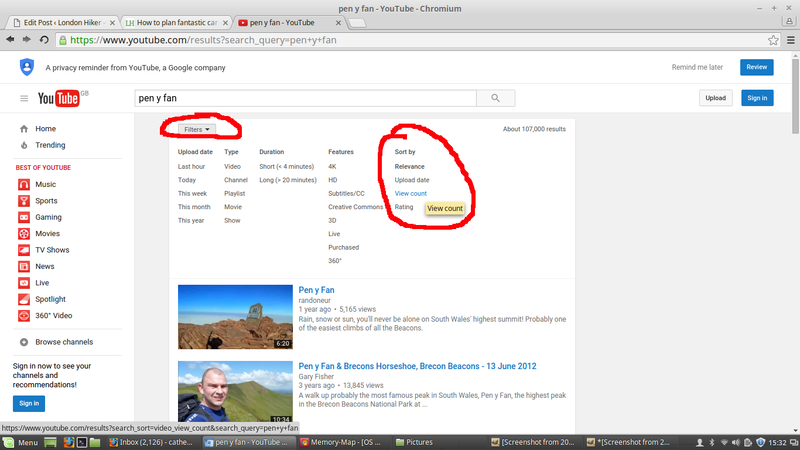 Sometimes I might filter the results by view count and or rating; this might bring up the more popular (better?) videos. Now you know where you’re going, how you’re going to get there, what you’re going to do when you get there: what your preferred plan A routes are. Here’s what I do next. First of all I check what I call my Three Es! 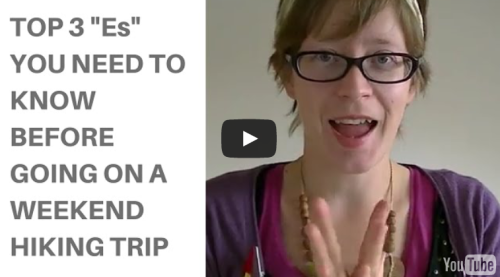 In this short video I talk more about the Three Es! First plan out your bad weather / Plan B alternative routes. I call this my ‘EQUALLY EXCITING ALTERNATIVE‘ route to ensure my weekend is not a waste. For all my Walk Your Weekends itineraries I have added in alternative bad weather or low level walks which will still keep you happy even if you can’t do your preferred Plan A route. Next plan your ESCAPE ROUTES. For each route you need to know ahead of time at what points you can ‘escape’ – in other words, get off the mountain, cut your walk short, turn back or find help. For every route, I will plan out at least one or usually two ways to escape if necessary. In other words, check the routes you’ve planned against your walking speed, and work out when you’ll most likely finish the walk (your ETA) – then check these against the bus times you worked out earlier. I use a rough rule of thumb of 2 miles per hour (including any breaks, rest stops etc). In this video I elaborate on why I use this really simple rule of thumb and why it always works for me. You’ll need enough time to walk your route before it gets dark! I look at bus times, I check my train times, I ask can I actually finish the walk and get back by sunset, by the bus time to get my train back. I don’t like riding on the seat of my pants or whatever that phrase is. I like to know exactly what I’m doing and know that I’ve got plenty of time and it’s all going to be fine because I hate getting stressed out about transport. 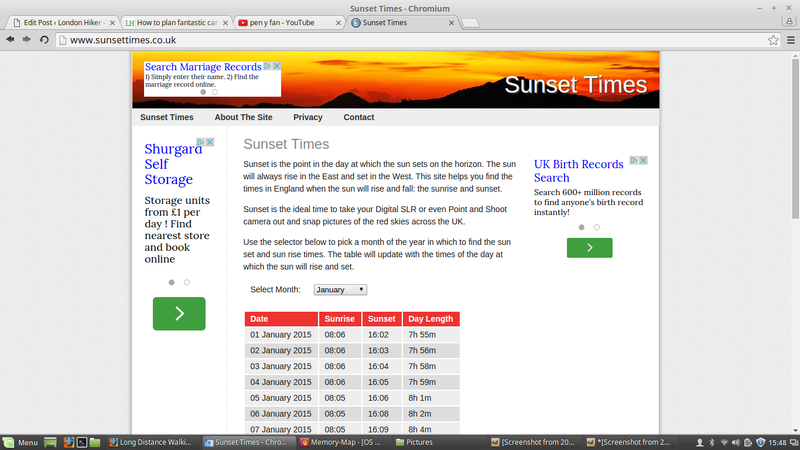 You can find a really simple sunset times list at sunsettimes.co.uk (be aware this one is general for the UK). Or you can easily Google for sunset times + your location and this will tell you what you need to know. 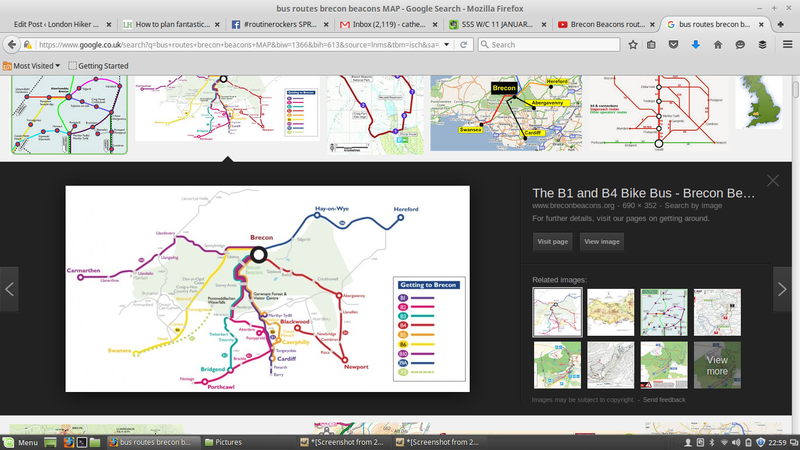 I mentioned Google Images a few times already, for finding bus route maps . I also use it for finding use this for finding street maps. You can obviously use the standard Google Maps to find a street map of a town, but what I like to do is have a large scale image showing the named streets in black & white, rather than one that’s designed for car drivers. I usually find that the large scale ones are more useful than the Google Maps for finding your way around a town or a village. I often use Google Images to try and find street maps of the town, because if you use the web text search, it can take you forever. 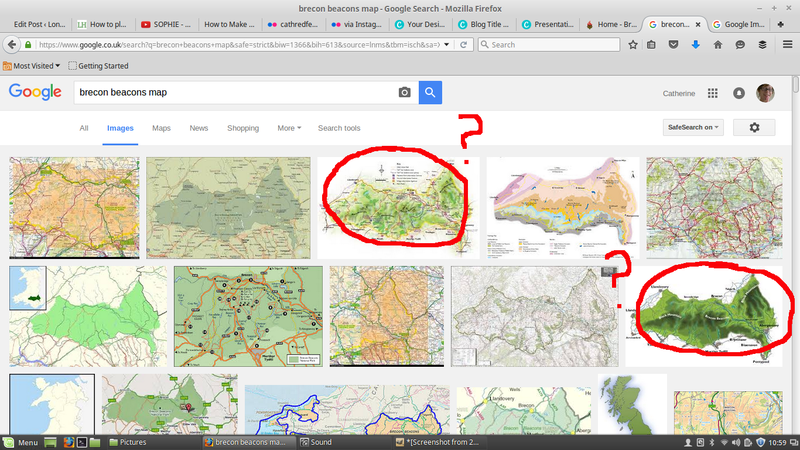 With Google Images, I can immediately see a few promising looking maps and click into them. When I’m writing my Walk Your Weekends itineraries I will also convert all distances from miles into kilometres so that both are listed; because I know that some people prefer one to the other. 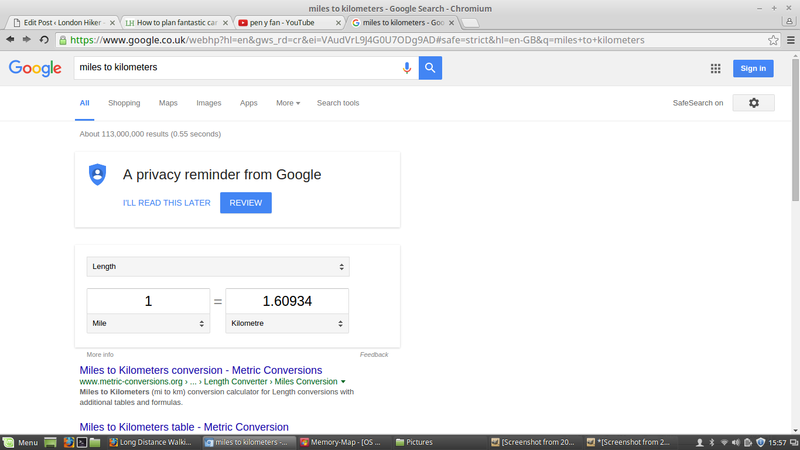 I usually use a simple website for converting them, where I can just plug in the numbers. 7.7 Check for toilet facilities! Another thing I always put in my Walk Your Weekends itineraries is where there are toilets (and even if there ARE any). Always useful to know! 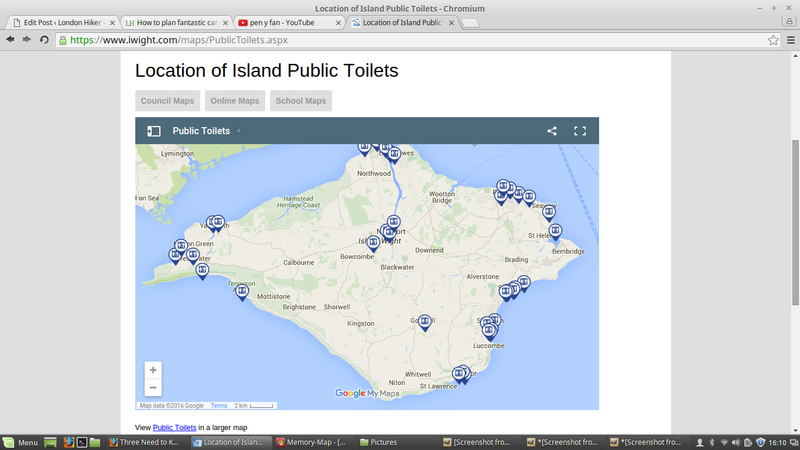 Otherwise, you can search the brilliant public toilet interactive map! And then of course,before publishing the itinerary in Walk Your Weekends, I actually VISIT the area and walk there! 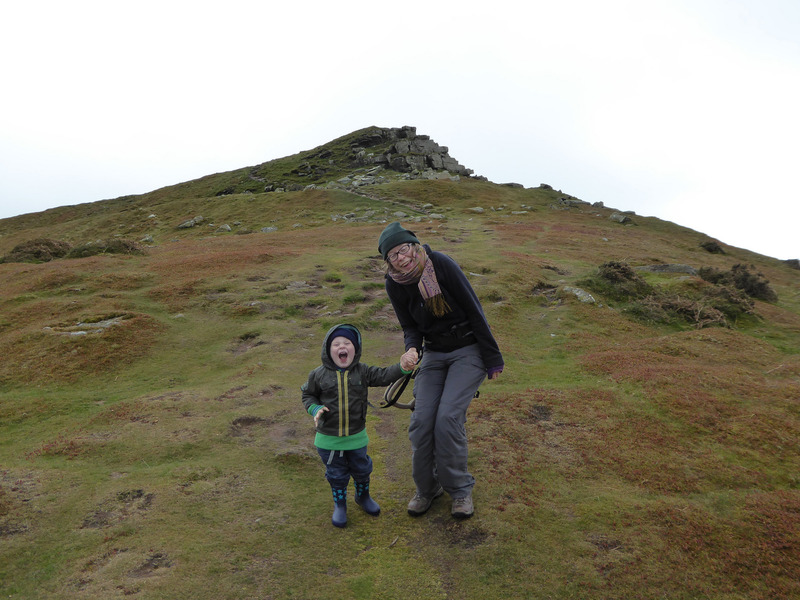 And ticking off the Sugar Loaf. From there, I can make adjustments and minor tweaks, adding in any personal insights from my visit. You can join Walk Your Weekends here. Please share this post if you found it useful! Cheers!